This article is about the Canadian governor. For the Crown Governor of Virginia, see John Harvey (Virginia). For other people, see John Harvey. Lieutenant-General Sir John Harvey, KCB KCH (23 April 1778 – 22 March 1852) was a British Army officer and a lieutenant governor. He was commissioned into the 80th Foot in 1794 and served in several different locations, including France, Egypt, and India. He came to Canada in 1813 and served as a lieutenant colonel in the War of 1812, taking part in the British victory at the Battle of Stoney Creek in Ontario. From 1836 to 1837, he was the Lieutenant Governor of Prince Edward Island. From 1837 to 1841, he was the Lieutenant Governor of New Brunswick. From 1841 to 1846, he was the Civil Governor of Newfoundland. From 1846 to 1852, he was the Lieutenant Governor of Nova Scotia. Harvey, York County, New Brunswick, founded in 1837 when he was Lieutenant-Governor of New Brunswick, is named for him. Harvey Park in Hamilton, Ontario, is named after him. Former Harvey Township (now amalgamated with Galway-Cavendish and Harvey Township), Peterborough County, Ontario, is named after him. There is a monument to him in St. Paul's Church (Halifax). "John Harvey". Dictionary of Canadian Biography (online ed.). University of Toronto Press. 1979–2016. 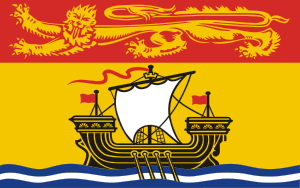 Note: The year after Sir John Harvey had stepped down as governor of Newfoundland and when Sir John Le Marchant was appointed, the colony was administered by Robert Law, a British army officer.